Relying on your mom to give you your insulin injections has its disadvantages, especially when she’s mad at you and hasn’t taken (what she called) her “nerve pills.” Like the time when I was 13 and I got mud on her freshly cleaned kitchen floor, and later when she gave me my shot, she wiggled and twisted the needle around in my arm before pushing in the insulin. She swore her hands wereÂ slippery from floor wax, but I knew better. As I indicated in my last post, it took me a while before I learned to give myself my own insulin injection. I really wanted to do it myself, but I couldn’t pull the trigger, so to speak. You see, the nurses in the hospital taught me to JAB the needle into my skin. It was like throwing a dart, except you don’t let go. I tried over and over: 1 … 2 … 3 … and every time my JAB would stop just short of my skin. So Mom would graciously give me my shot … again, and I’d try again next time. This went on for a couple years, until I went to Camp Hamwi. Camp Hamwi was the diabetes camp I attended for three years. It was a typical summer camp with cabins, a swimming pool, and a creepy camp counselor named Al. The camp was for juvenile diabetics but it included pretty normal camp activities: kayaking in the lake, hikes in the woods, and late-night spin-the-bottle games. Of course, I and my other 13- and 14-year-old cabin mates got to sleep by singing the classic camp song, “99 Bottles of Beer on the Wall.” The camp counselors taught us about testing regularly, eating right, and getting enough exercise each day. They must have forgotten the warning about how bad it is for juvenile diabetics to drink that much beer. Each day, I saw all my fellow campers giving themselves their shots, which gave me motivation, but it was HOW they were putting the needle in that helped me most. They didn’t JAB; they simply put the end of the needle against the skin and gave it a little push. So I tried it and … success! Finally for theÂ FIRSTÂ time ever, I gave my self my own shot and nobody helped me! I just stuck it in. Having a GREEEEAAAAAT time here and learning a lot. Have to be saying bye till Saturday unless you decide not to pick me up. Maybe that’s better, but I HOPE not! The camp counselors rewarded me for giving my own shot by putting me in charge of the bonfire that night. They rebuilt the camp the following year, but Al has never been seen since that night. NOTE: The events of this post are based on true events, although some minorÂ detailsÂ have been fictionalized. 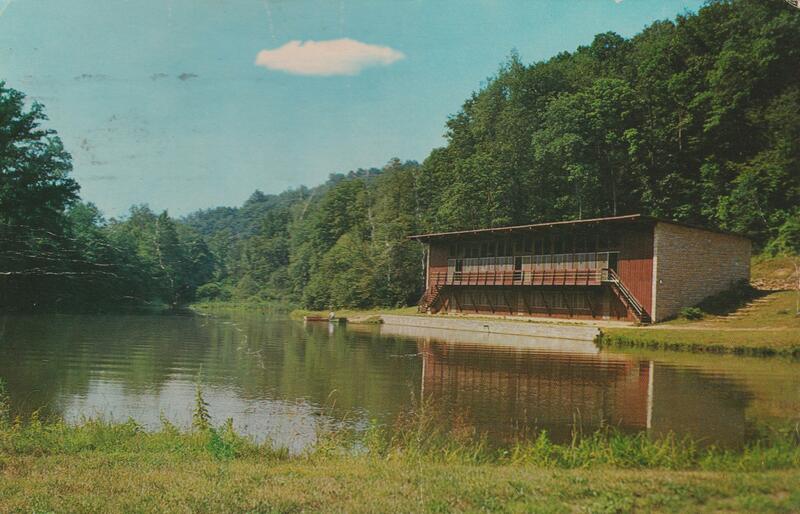 Camp Hamwi was a great place with no creepy counselors or underaged drinking, so go ahead and send your kids there. I’m sure they’ll love it. By the way, I now wear a pod but when I do give myself a shot I still do it asÂ I learned at camp. Also, I still enjoy bonfires and playing spin the bottle, but I now do theÂ latter only with my wife. Support me in my ride to beat diabetes in the 2015 TdC here! My daughter was diagnosed at age 12. This will be her 5th year at Camp Hamwi. She will be a CIT (counseler in training). She really loves it. It’s the only camp she has ever attended and the first year she didn’t want to go, begged not to go. But that’s history now that she is 17! Very cool that she now has the opportunity to pay it forward! I bet Camp Hamwi looks much different now than it did when I was there in the mid70s! I love the awesomeness of your camp experiences! I hope my daughter is able to reflect on her camp stories with as much appreciation. Thanks, Wendy. It’s so great that you are providing her with this awesome opportunity.